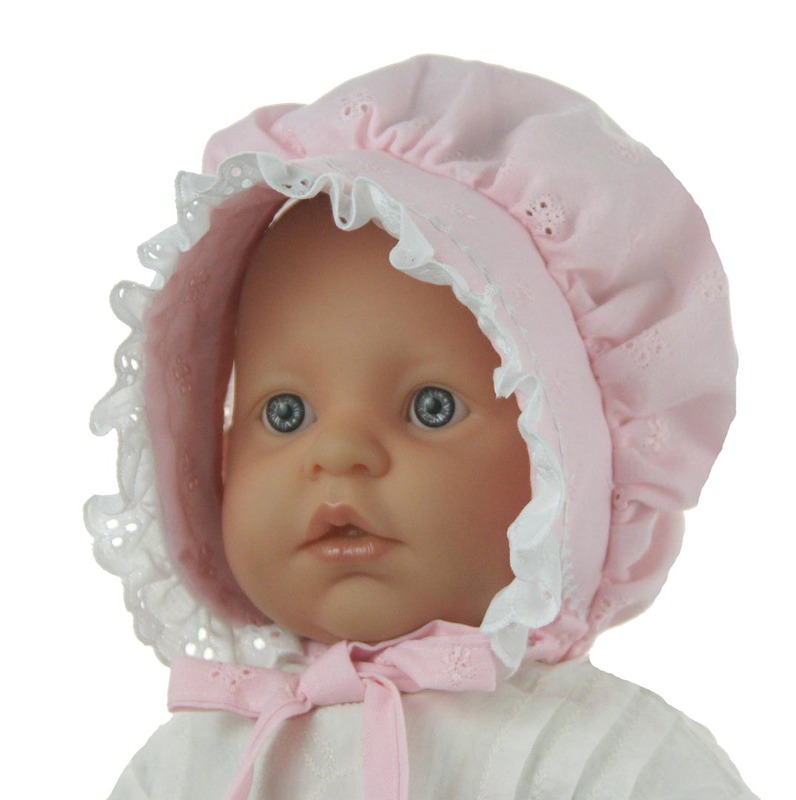 This adorable new pink cotton eyelet bonnet is constructed in the style of the famous southern "Charleston bonnets" with a bouffant back and a wide brim to shield baby's face from the sun. 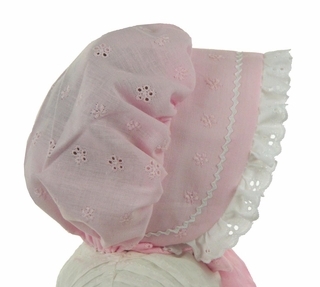 It features a sweet white eyelet ruffle framing the face and ties under the chin with fabric ties. The perfect little sunbonnet for your baby girl! Darling for baby's portrait or any special occasion, too!